Orpic (Oman Oil Refineries and Petroleum Industries Company SAOC) is one of Oman’s largest companies and one of the most rapidly growing businesses in the Middle East oil industry. Orpic’s Refineries in Suhar and Muscat, as well as the Aromatics and Polypropylene Plants in Suhar, provide fuel, chemicals, plastics, and other petroleum products, to Oman and the world. To continue to meet the needs of Oman and international markets, Orpic has undertaking three strategic growth projects [Muscat Suhar Product Pipeline (MSPP - 2017), Sohar Refinery Improvement Project (SRIP - 2016) and Liwa Plastics Industries Complex (LPIC - 2020)], in line with the company’s strategy to add value to the Oil and Gas resources of Oman. For more information, please visit www.orpic.om. 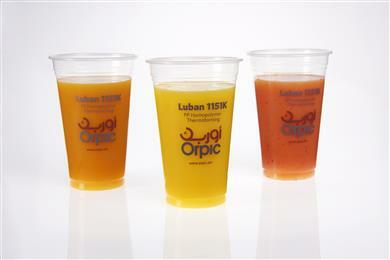 Oman Oil Refineries and Petroleum Industries Company (Orpic) has launched a new thermoforming grade called Luban HP1151K that will increase both productivity and the overall performance of transparent thermoformed cups, trays and containers. The new PolyPropylene thermoforming grade is based on Milliken's nucleating innovation Hyperform® HPN-600ei. The new grade (Luban HP1151K) will be launched during 5th Oman Plast Exhibition 2018 at Oman Convention and Exhibition Centre.